The public network diagram template can reduce the amount of time to create great public network diagram by using built-in symbols right next to the canvas. You can download and modify this template for your own use. Edraw provides quick start network diagram templates that contain the proper symbols within easy reach. 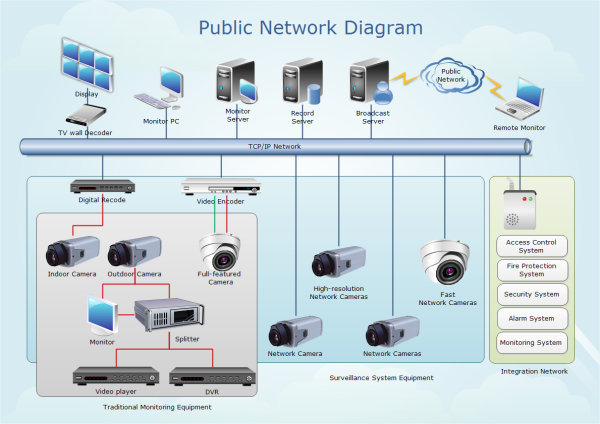 Discover why Edraw is the most excellent software to create public network diagram. Try Edraw FREE.